Something exciting is happening in Shippensburg. A spirit of cooperation is blossoming among a broad network of people leading toward the development of a place where the community can come together to meet, build relationships and help each other reach our full potential together. On the surface, Katie’s Place is an aging industrial space that once filled the air of the Shippensburg Community with the aroma of freshly baked bread. When Martin’s Bakery ended operations at this location several years ago, the building was purchased with the hope that one day, it would become a Community Center. – A suite of 7 offices including a restroom and a common room. – Loading docks on 2 levels. In reality, the possibilities of what can happen at Katie’s Place are limited only by our willingness to join hands and do something together. Please support our efforts to help the youth and families of Shippensburg! 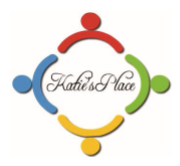 Katie’s Place exists to serve as a gathering place for people of all ages and as a distribution site for charitable human services for the people of the Shippensburg community and the surrounding area. We are incorporated under the Pennsylvania Nonprofit Corporation Law and are organized exclusively for tax-exempt purposes as such purposes are defined by Section 501(c)(3) of the Internal Revenue Code of 1954 (or the corresponding section of any future Internal Revenue Law of the United States). Katie’s Place is registered with the Pennsylvania Department of State. Katie’s Place is in the process of forming an advisory board and would like to thank those individuals who have agreed to be a part of this endeavor. The official registration and financial information of Katie’s Place of Shippensburg, Inc. may be obtained from the Pennsylvania Department of State by calling toll free, within Pennsylvania, 1 (800) 732-0999. Registration does not imply endorsement. In addition to the thriving and diverse Thrift Shop at Katie’s Place, the building houses a number of community organizations. Your support of both the organizations that are housed within the building, and Katie’s Place of Shippensburg, Inc. is vital to the continued success of the Katie’s Place dream. Learn more about this by visiting our Fundraising for the Future pages. Please support our efforts to help the youth of Shippensburg! To make the dream of Katie’s Place become a reality, we need to take several important steps together. Your help can and will make all the difference! The large room has been painted and transformed! Exciting changes have happened in that space. It no longer looks industrial but has been transformed Stay tuned for updated pictures of the large room! More exciting news… Thanks to a grant from Partnership for Better Health, we are able to upgrade restroom facilities to be ADA compliant and accessible to all current and future nonprofit and client patrons of Katie’s Place. Please visit Partnership for Better Health to learn more about the programs they support. If you would like to volunteer, please call Katie’s Place at 717-477-9100. • Building Tour – A slide-show of photos from around the building. • KP Facility Use Agreement – Download the form needed to hold your activity at Katie’s Place. • Articles of Incorporation – Information of how Katie’s Place operates.